Are you bored of looking at the tiny screen of your Android mobile phone? Do you want your Windows 10, 8, or 7 computer mimic your mobile phone, so that your eyes aren’t stressed? You can also play your favorite games, including PubG, Justice League, and Clash of Clans on the computer. To do so, you need what’s called an Android Emulator. It is a virtual device. You can build an Android emulator for Windows yourself but it is quite difficult, especially if you don’t have any technical knowledge regarding it. Rather than that, you can simply download a software that turns your Windows in an emulator device, so that you can run Android apps on PC. One of the best Android emulator for PC for gamers, Nox App Player can be used to play big games including Justice League and Clash of Clans. You can use it for free. No ads are displayed while you are using the software. It also lets you to manually assign keys from the keyboard before you start playing games. Using the settings, you can specify where you want to use CPU or RAM for best gaming experience. The software supports easy rooting of the device, which barely takes a minute. 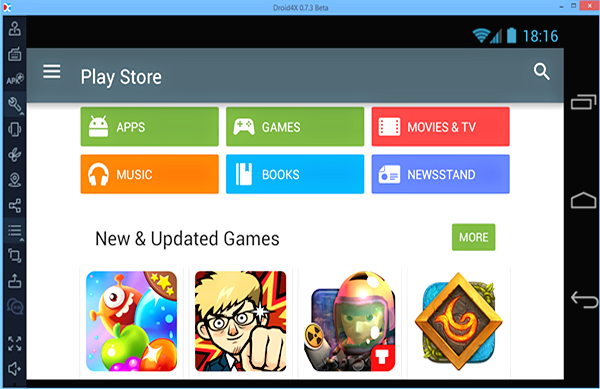 Currently, Nox App Player is compatible with Android 4.4.2 and high versions. You can open multiple windows on one computer. You can map shortcuts on the computer. Puts excess load on the computer, so you cannot use multiple apps at once. 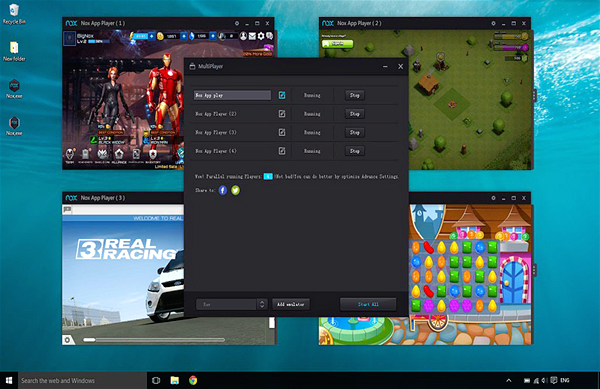 BlueStacks 3 is the most ideal Android emulator for PC. This software is also a preferred choice among gamers and has a very simple installation process. 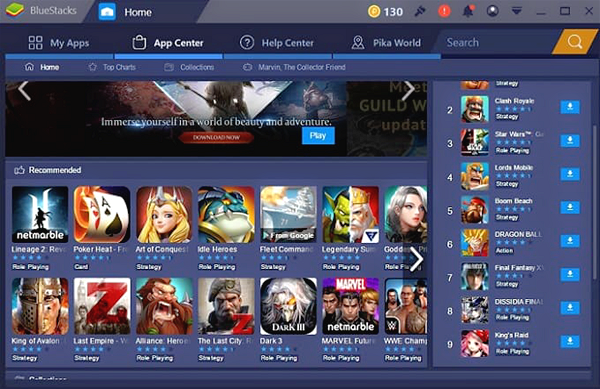 It offers you the option to download BlueStacks 3 optimized app from its personal app store, but you are also free to down from Android’s Play Store. It has excellent keyboard mapping abilities. BlueStacks 3 is only available for Android Nougat users currently. The software comes in two versions – free and premium. Sadly, in the free version there are continuous ads, which might annoy you. The premium version costs $24 and no ads are displayed in it. You don’t need any technical knowledge to install it. Supports multiple accounts at one time. Supports latest Android OS version. Doesn’t work well with productivity apps. Sponsored ads are very annoying. If you are looking for Android emulator for PC free, then your search ends here. It offers better features compared to BlueStacks 3 and supports Android Oreo. It is compatible with Windows 10, 8, and 7 along with MAC. 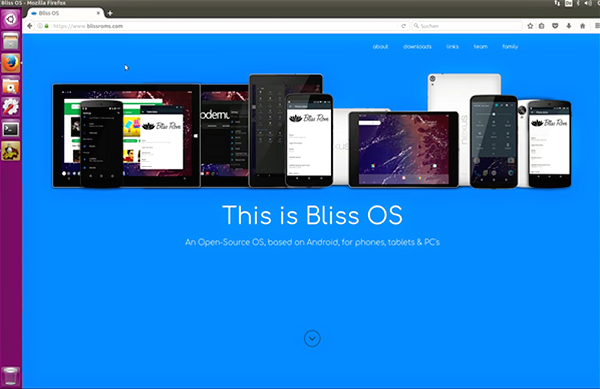 setting up Bliss can be a little complicated, so you’ll probably need technical help for it. After the set up is over, you have to connect your Android mobile phone to the computer using an USB cable. Another way to connect is by installing a Virtual Machine, which is an easier way compared to the previous one. On the whole, the entire process is quite time consuming. Completely free to use without any sponsored ads. Supports Android emulator for MAC. More dependable than BlueStacks 3, doesn’t lag or crash. Setting up the virtual device is quite difficult. Need technical knowledge to run it. Many Android users prefer to use a trusted software to run Android apps on Windows. Android Studio is one such virtual device. It is a Google-approved development IDE and also has several tools for making Android games. 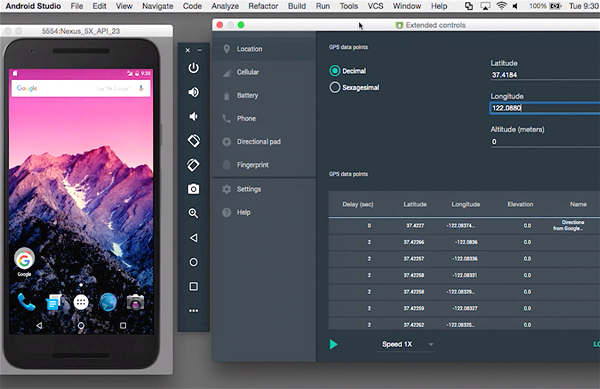 It isn’t an emulator itself but it is one of Android Studio’s features. However, you can only use it to play games or test them. You cannot use it to use other apps, including Facebook, Twitter, Snapchat, or Instagram. Because it offers more than emulation, setup is difficult and you cannot do it without professional support. Since it is a Google software, you can trust it completely. Ideal for playing heavy games. Cannot open apps other than games on it. Installation and set up is difficult and tedious. Another free virtual device to run Android apps on PC, Droid4X has promising features. The emulator’s simple design is better at support casual games rather than heavy ones like Clash of Clans. The software surprisingly doesn’t lag while using productivity apps. Unfortunately, it hasn’t been updated since March 28, 2016. However, it supports all latest versions of Android OS, which is a huge advantage. Along with Windows 10, 8, and 7, Droid4X is compatible with MAC. The software is too good to be true because it lets you adjust the resolution of the display and performance level of the emulator. Android emulator is not in development phase anymore. So did you find the Android emulator you were looking for? Every person is different and you might not like the emulator that your friend does. All the ones we mentioned have free versions, which you can download and try for yourself. Then, continue using the one you liked. Make sure you never allocate more than 50 percent of your computer space to an Android emulator. If you cross the limit, your Windows 10, 8, or 7 computer will lag and you won’t be able to enjoy the games. 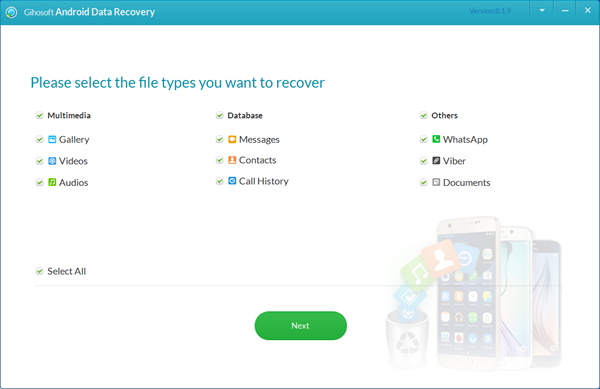 Tip: If you accidentally deleted important files from your Android devices while having no backup, there is a free Android data recovery software that can help you get them back quickly. It supports recovering deleted data from Samsung, Huawei, HTC, LG, Motorola, Google Pixel, OnePlus, Sony and other brands of Android phones. With it, you are no need to worry about data loss.